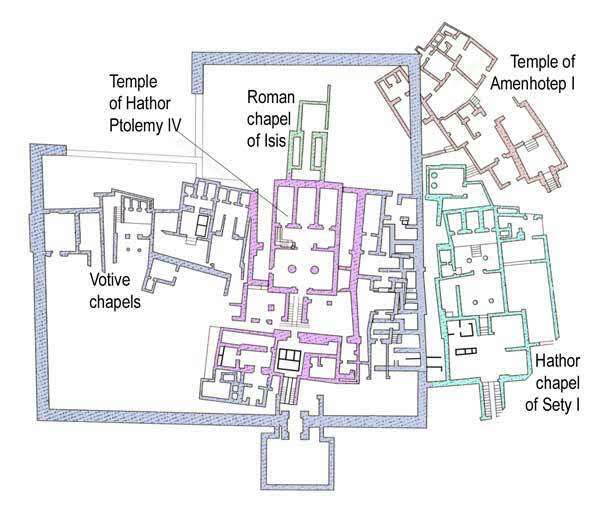 At Deir el-Medina on the right side and to the north of the Ptolemaic Temple, are the remains of the Hathor Chapel of Seti I. 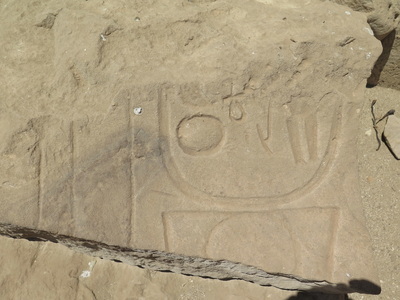 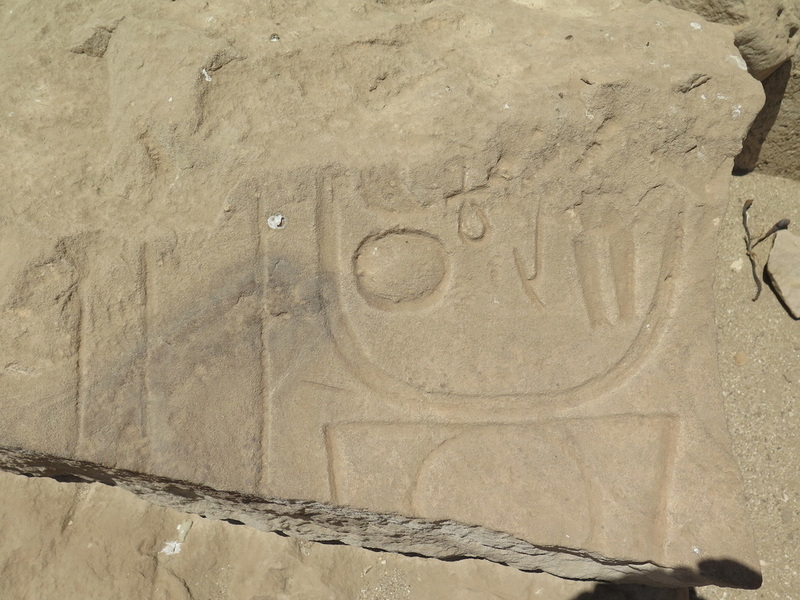 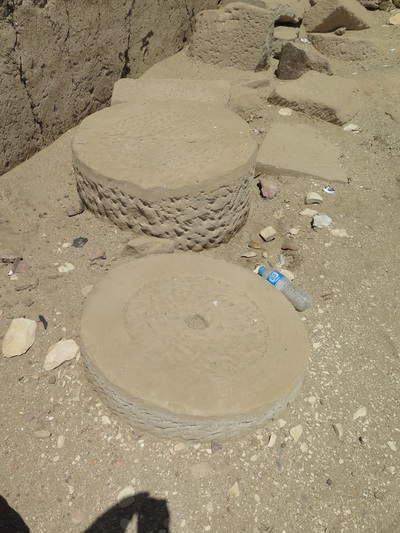 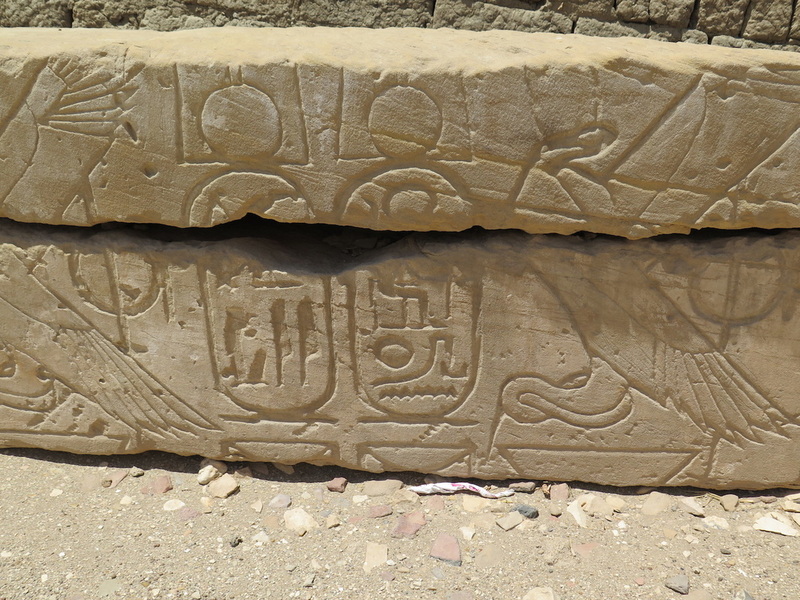 It lies on a gentle slope just in front of Amenhotep I Temple ruin. It is not much more than a ruin itself but has been wonderfully reconstructed to show its original layout. 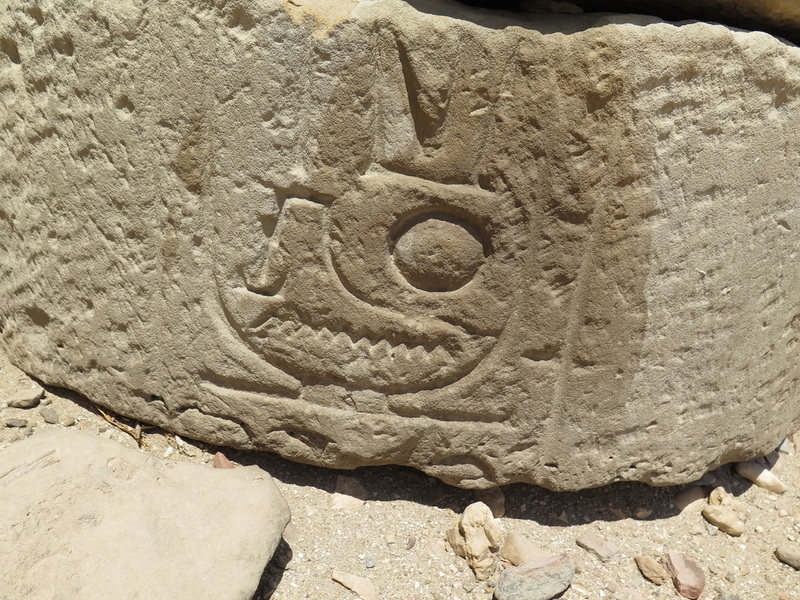 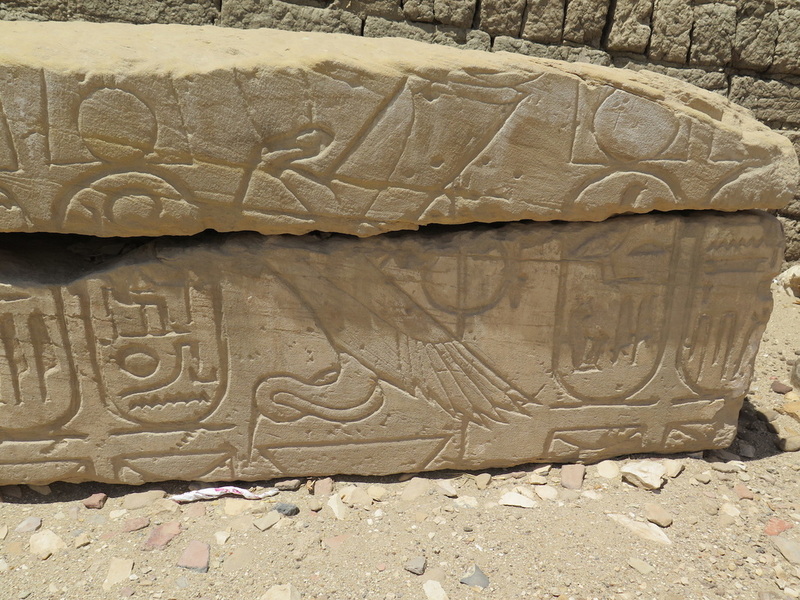 Just to the left side of the chapel are some nice carved relief stone blocks depicting Hathor. 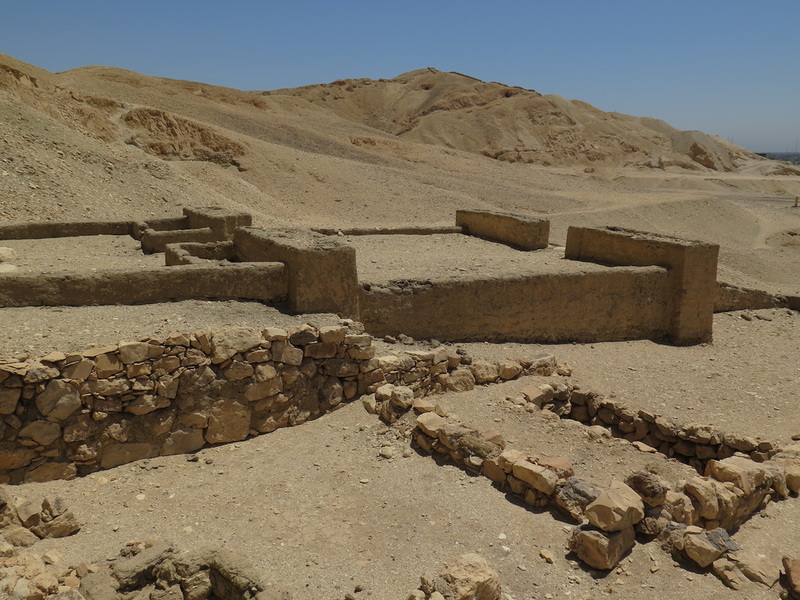 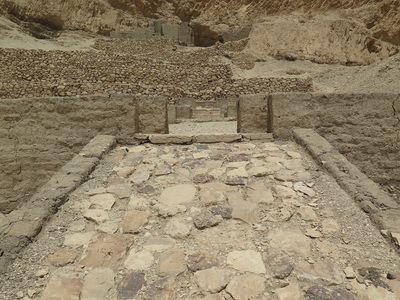 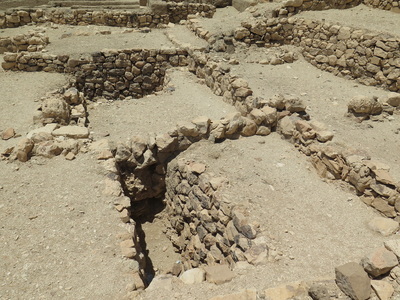 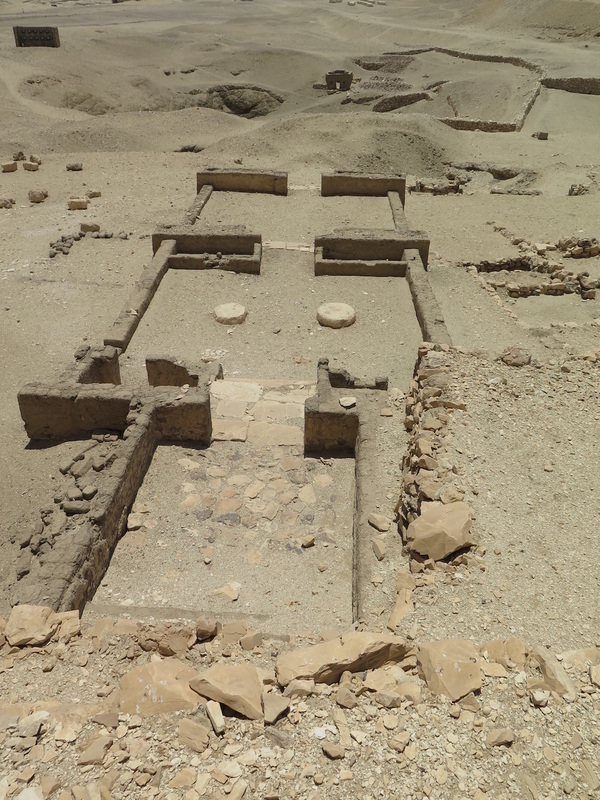 Seti I (1294-1279 BC) built the chapel for the village workers of Deir el-Medina. 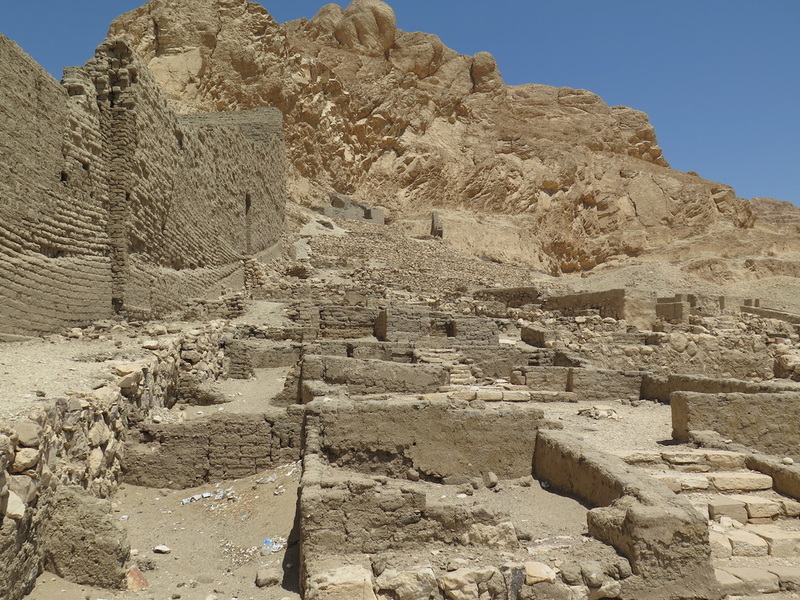 The villagers built the Amenhotep I Temple, just above Hathor chapel and dedicated it to him as he built the village for the workers. 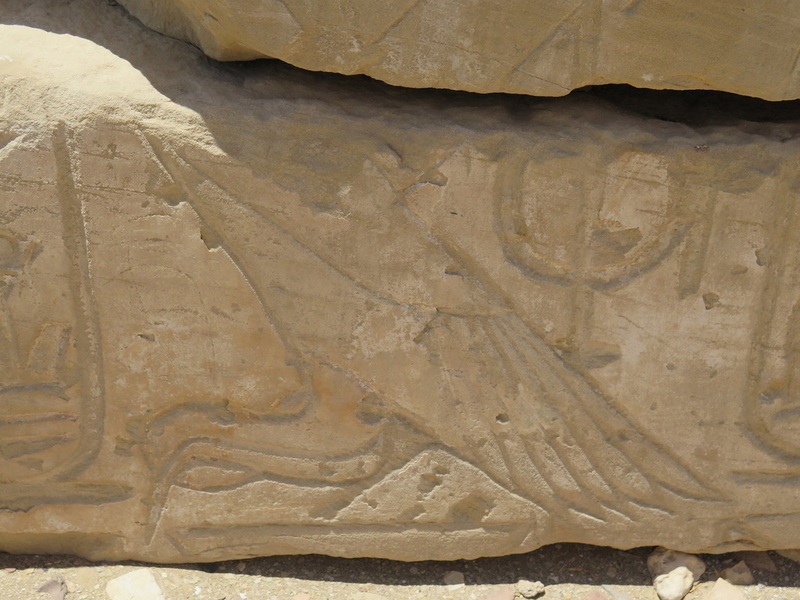 Amenhotep was deified upon his death and made the patron deity of the village. 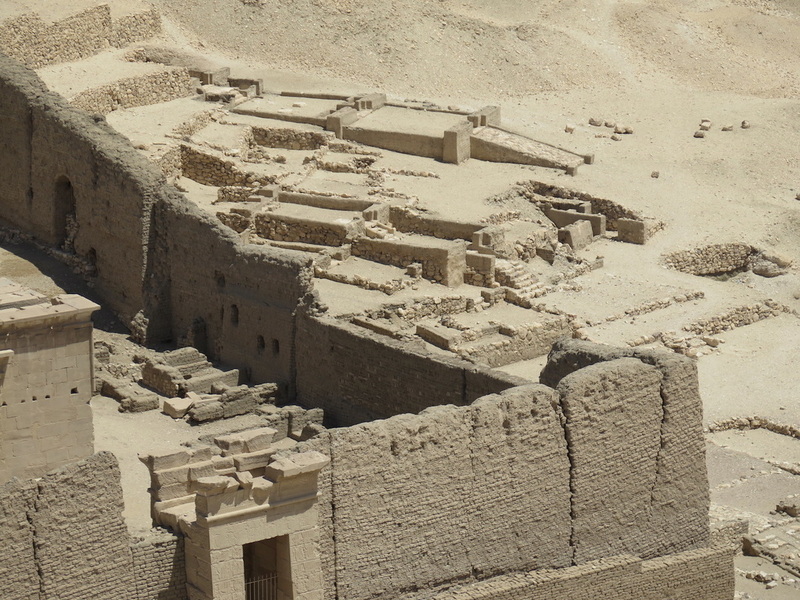 If you are at Deir el-Medina, then do visit the remains of Hathor Chapel and Amenhotep I Temple. 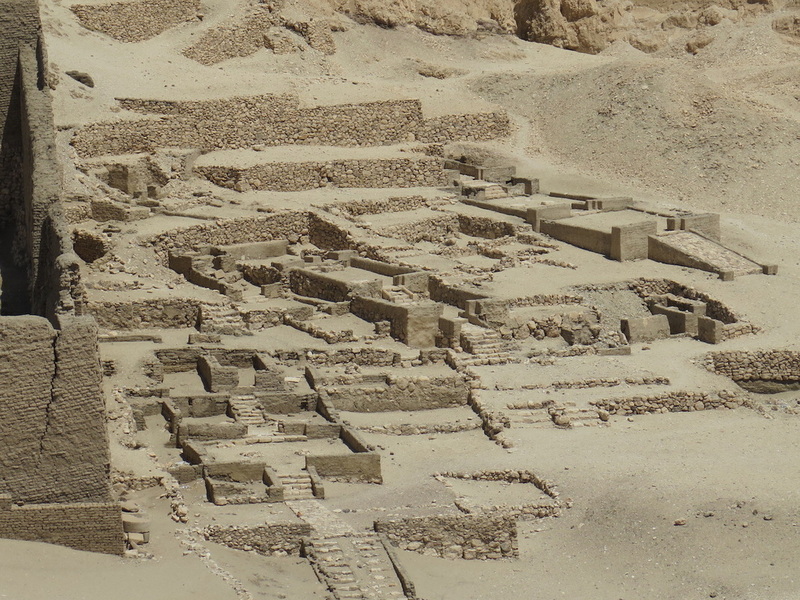 It helps to understand and take in the complexity of this Workers Village area.